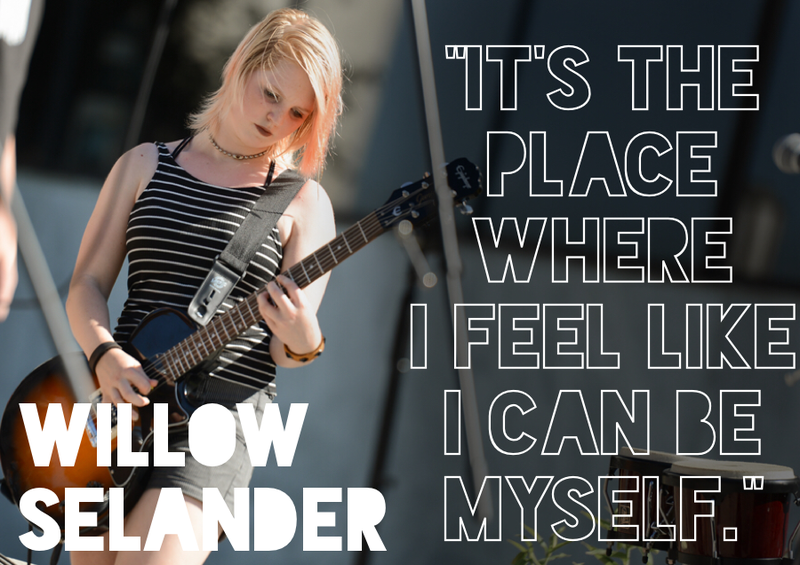 ROCK STAR OF THE WEEK - WILLOW SELANDER!!! I started playing the violin in 4th grade. I don’t remember why I started, but I’m always listening to music and I’m driven to always getting better. I don’t really have a favorite. But ‘Nervous Breakdown’ by Black Flag was fun. I like the fast-paced songs. It’s the students, the music, the instructors and it’s the place where I feel like I can be myself. Metallica, Nirvana, Hamilton Soundtrack, Weezer. Practicing guitar, singing, transposing songs onto the ukulele…and sleeping. TEACHER OF THE WEEK - JARRED VENTI!! !